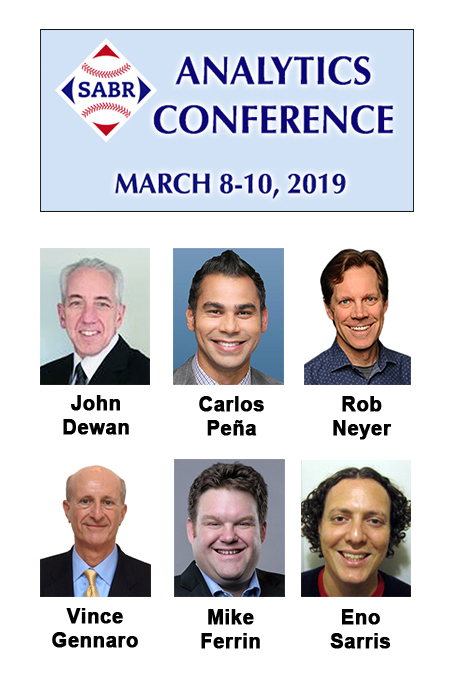 We are pleased to announce some of our featured speakers and panelists at the eighth annual SABR Analytics Conference, presented by MLB and KinaTrax, in Phoenix, Arizona. Click here to learn more about our speakers and panelists. Please note: All speakers are subject to change depending on availability.